with soft breath on my neck, forsaken longing.. I am always inspired by meeting kindred spirits. One such inspiring soul I recently became acquainted with through the wonders of the internet is artist, writer, teacher and spiritual guide Andrea Maxine Frade. 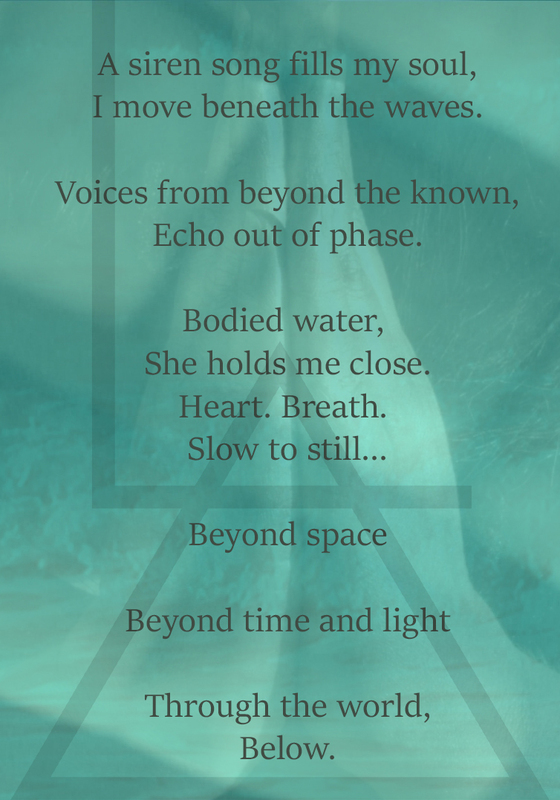 Whether she is sharing her experiences or offering guidance through her posts, her words and images feel to me to be profoundly connected- each deepening the other- so I asked Andrea if she would like to share an image here to go with her poem above. She sent the following one with words that give her audience a further insight to her creative impetus as both an artist and a woman. This was me many years ago. Before yoga, before even art school. Before I began teaching I was in search of the language of intimacy, the soft space of what it means to be known, from the inside. This was and has always been the driving force behind my work as an artist and now as a writer, teacher and spiritual guide. For me my work is a forceful passionate and exhilarating understanding of what it means to be human, what it means to be alive, what it means to be a woman, in a body, with biology and a deep fierce soul. This is my work, my craft, my art, the essence behind my movement practice, the motivation to search and seek and find, to lift the veils. It is all a means to understand and touch into the core of our being here, the fabric of aliveness. Our conscious experience of grace. I feel so grateful for this tender awareness and sacred process. To awaken the beauty that dwells within and hold a healing space for it all is the art form, and it lives and breathes within each of us. It is our vulnerability and the generous nature to our truths. It is the marrow of love in all the ways we remember who we are through our own becoming. For therein lies the greatest wisdom. . Her vulnerability and honesty are truly inspiring and I am honoured she shared her poetry with me. Here are the links to her website and Instagram, I urge you to go soak up the inspiring and heart-filled vibes! You are currently browsing entries tagged with poetry at Laura Kilty.